Active wallpaper shuffle by accessing “Settings”>”Display”>tap “Wallpaper Shuffle”, turn on the switch. Grayscale: Display images in black and white. 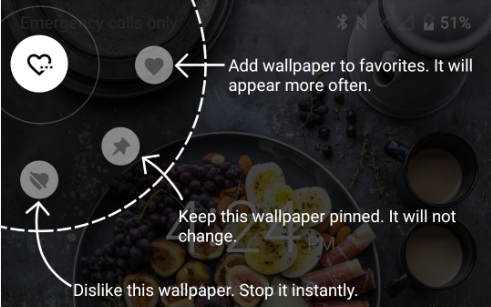 From lock screen, there are three icon on the upper left corner, tap to set wallpaper base on your likings.